Calling these things bath salts is fiction if I ever heard a fanciful tale. There are also called plant foods. No one I know of is putting this stuff in water and plants that get this stuff aren’t long for this world. What these so-called “bath salts” do is put people in the hospital emergency room. Sometimes they are fatal. 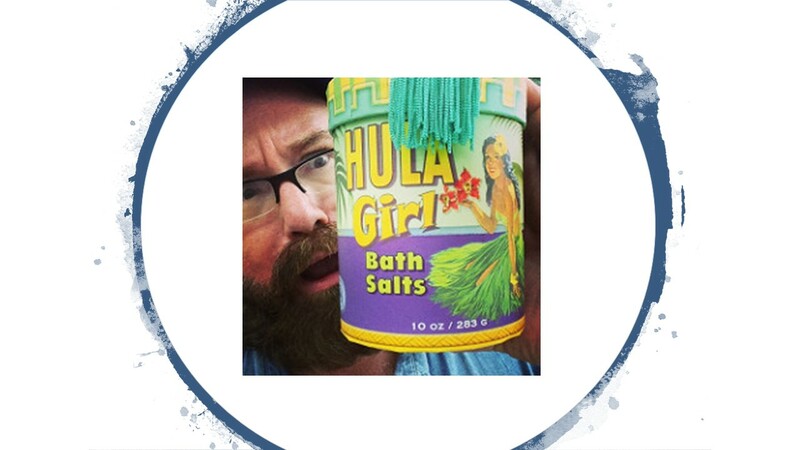 By calling them bath salts or plant food and putting a notice on the label that says “not intended for human consumption” the manufacturers and sellers of these products are getting around the Controlled Substances Act. These products are often found in head shops and boutiques along with glass pipes and “body detox” products. That the sellers know what people will do with these products is clear. There are no specific ingredients for these products and manufacturers keep changing their formula to keep ahead of the laws. In the process, one key ingredient is becoming the dominant one. Most of the bath salts contain Methcathinone in one form or another. Don’t confuse Methcathinone with Methamphetamine or Methadone. Pseudoephedrine is a precursor for both Methcathinone and Methamphetamine but the similarities don’t go much farther than that. Dr. Smith of the Cookeville (Tennessee) Regional Medical Center wrote a two-part series on bath salts recently which appeared in the drugfree.org newsletter. He reports that the effects of Methcathinone are like those of Ecstasy (MDMA) in the early stages but as time goes on the effects become more like Methamphetamine. While Methcathinone was a rare event in the past Dr. Smith reports that he regularly sees people in the emergency room as a result of bath salts. Methcathinone is a synthetic version of Khat which I mentioned in my recent post 7 New drugs Parents should be aware of. The effects Dr. Smith reported seeing in the ER from bath salt users included sweating, high body temperature, high blood pressure, low thirst, paranoia, hallucinations, seizures, violence and self-injurious behavior, including suicidal thoughts and actions. Deaths have been reported as a result of smoking bath salts, but how common this is, remains unknown. Most toxicology screens are not intended to pick up these rapidly changing synthetic chemicals and they are probably being under-reported. A further concern is that people who buy their drugs in head shops are consuming an ever-increasing number of synthetic chemicals. The belief here, especially among teens is that since they are being sold legally they are safe or relatively safe. Most young people have no sense of the amount of risk they are taking by using these products. Adding to their popularity is the belief, not always correctly, that these products will not show on a drug test and therefore are not going to cause any problems. The American Academy of Pediatrics (AAP) has issued a report to physicians on spotting the side effects from smoking synthetic drugs. These drugs, particularly “synthetic marijuana” or synthetic cannabinoids resulted in over 4,500 calls to poison control centers in the United States in a one year period. Among the reported symptoms of high levels of synthetic cannabinoids are agitation, excess sweating and inability to speak. The sale and use of synthetic recreational drugs, both bath salts, and synthetic marijuana, is an evolving problem which is currently poorly recognized or treated. This entry was posted in Drugs and Addiction and tagged Addiction, Children, Drug use, ecstasy mdma, hospital emergency room, Parenting, Recovery, Teens by David Joel Miller. Bookmark the permalink.